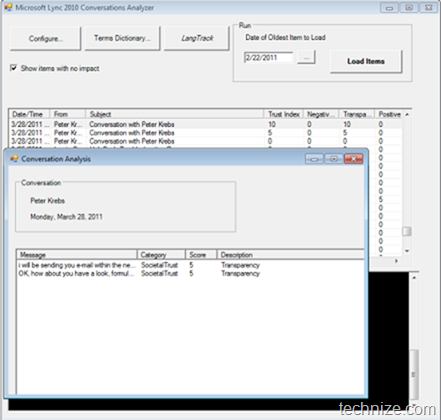 Upon setting out to evaluate Microsoft Lync as a communicator, the first thing needed was a copy of Lync 2010. Surely then I could feed in my Microsoft ID and I would connect to the marvellous world of Microsoft Lync, also known as ‘not Messenger’. The first hurdle I discovered was that apparently I already had Lync, yet I didn’t have Lync. Office 365’s website clearly states that if I have Office 2010 Professional Plus installed, Lync will be included. This was not the case, so I pushed forwards and installed Lync as a standalone on the two computers being used in the office. Note, both had Office 2010 Pro Plus installed, but did not have Lync on them. They were up to the latest service packs and there was no Lync option in the install features. Upon installing Lync, I was certain that the domain SIP services were correctly referenced, so I tried to start up Lync. Didn’t ask for a password, and I couldn’t sign in. So off to the backoffice we go, to see what is happening with the magical Lync services of Microsoft. Cannot sign in still. Eventually I go to check the settings some more, but don’t actually change anything and it starts working. Must have been down when I was trying to connect. So finally I get in there, and learn some of the features. From that option, there’s a whitelist option, a blacklist option and an option to just shut yourself and your company away from the entire world. FYI, the ‘I want to shut myself away from the entire world’ option is the one that the people at Redmond decided would be the best default option for most businesses, just another thing to keep you on your toes when setting this up. One of the coolest features of Lync is the on board chat analyser, it’s not really necessary for a computer to tell you how much trust another person has of you, but it’s certainly nice to be reassured that a relationship is a good one. This piece on technology is brought to you by Ryan, a writer and technician for one of the finest accounting firms in Perth.